Inspired by a beautiful video of hula hoopers using LED hoops at Hoopcamp 2011 doing “The Hoop Mandala”, I designed one of my more complicated mandalas of the week. If I had left off the stripes, it would have made it easier; but where’s the fun in that? 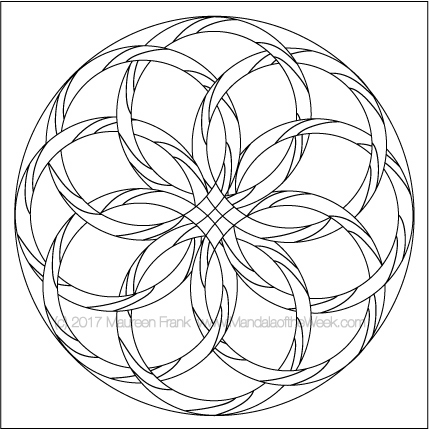 I do know this, if we want to stay true to the hoops and their stripes, coloring (painting) this mandala will require focus, passion, and tenacity…that’s when the fun begins!